Retirement; Can Seat Stay With GOP? 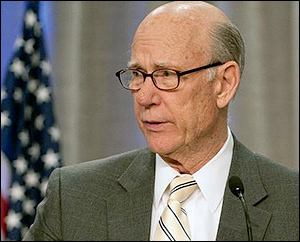 Jan. 8, 2018 — Veteran Kansas Sen. Pat Roberts (R), who will turn 84 years of age before the next election, announced last Friday that he will not seek re-election to a fifth term in 2020. He becomes the second Senate incumbent to announce his retirement effective 2021, following Tennessee’s Lamar Alexander (R) who made his decision public just before Christmas. 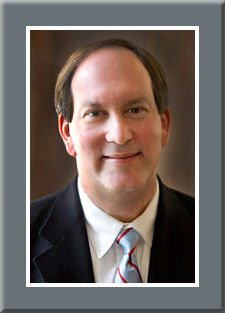 In 2014, Sen. Roberts faced a competitive election against Independent Greg Orman who appeared to coalesce the anti-Roberts vote when Democrat Chad Taylor withdrew from the race because the latter man knew that the senator was certain to win a three-way contest. With early October polls finding Orman leading Sen. Roberts by as many as 10 percentage points, the veteran Kansas office holder pulled out all of the stops to rebound with a 53-43 percent win. The 2014 Republican wave helped Roberts sweep to victory, overcoming what proved to be largely inaccurate polling along the way. Pat Roberts was originally elected to Congress in 1980, winning the western 1st District, a seat he would hold for eight terms before claiming an open Senate position in 1996. At the end of the current term he will conclude 40 years of congressional service. Dec. 14, 2018 — Looking ahead to the 2020 US Senate cycle, eight states are clearly in the first tier, but there is budding action occurring in a secondary set of places, also. Today, we look at the first group of prospects. With Republicans having to defend 22 of the 34 in-cycle seats, six are at the top of their protect list: (in alphabetical order) Arizona special, Colorado (Sen. Cory Gardner), Georgia (Sen. David Purdue), Iowa (Sen. Joni Ernst), Maine (Sen. Susan Collins), and North Carolina (Sen. Thom Tillis). Democrats look to be defending two top targets: Alabama (Sen. Doug Jones) and New Hampshire (Sen. Jeanne Shaheen). But developments are occurring, or could occur, in a series of other states, some of which could become highly competitive under the right circumstances. • KANSAS: Sen. Pat Roberts (R) faced strong competition six years ago, and whether or not he decides to seek a fifth term is unclear at this point. With Democrats just winning the governor’s campaign here, it is possible there could soon be renewed interest in challenging for what is traditionally a safe Republican seat. • KENTUCKY: Senate Majority Leader Mitch McConnell is on the ballot again in 2020. He won his last two competitive campaigns with 56 and 53 percent of the vote in 2014 and 2008, respectively. Potential candidates likely won’t come forward until the 2019 statewide campaigns, including the governor’s race, are completed. Jan. 26, 2018 — Two events occurred two days ago that drastically changed the Kansas gubernatorial race. First, Kansas Gov. 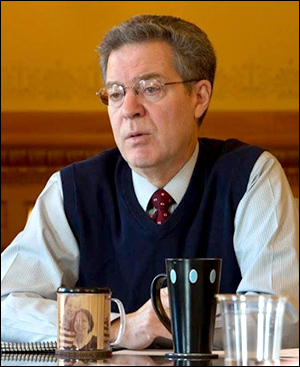 Sam Brownback (R) won confirmation as President Trump’s ambassador-at large for International Religious Freedom and will soon be resigning as Kansas’ chief executive to accept his new position. Gov. Brownback barely passed muster in the Senate, a body in which he served 14 years before being elected governor in 2010. Vice President Mike Pence was called into the Senate chamber to break the 49-49 confirmation deadlock. The move means that Lt. Gov. Jeff Colyer (R), already a candidate for the state’s top post, will be ascending to the governorship by the end of this week. Colyer will become the fourth Republican lieutenant governor who will be running for governor as an unelected incumbent. Govs. Kay Ivey (R-Alabama), Kim Reynolds (R-Iowa), and Henry McMaster (R-South Carolina) are the other three who became governor last year when the individual elected in 2014 either left under an ethical cloud (Alabama) or accepted a Trump Administration appointment (Iowa; South Carolina; and now Kansas). Second, Republicans also received good news over a development that could decimate the Democrat’s opportunity of running a viable general election campaign. Wealthy Independent Greg Orman, who challenged Sen. Pat Roberts (R) in 2014 and actually became the de facto Democratic nominee (he lost 53-42 percent), officially announced he will enter the governor’s campaign and as a non-affiliated candidate.